In June, DMCollaborators’ sponsor, EASY Software, held the latest of its very popular Partner Days where it gathers key industry customers for a day of networking, information exchange and fun! We are presenting some of what EASY partners told us there about themselves, working with EASY and the DM market. Here’s what Craig Davies, Business Development Manager at Green Duck had to say. So much is obvious, perhaps. So maybe the more interesting question is, What makes Green Duck different – apart from the name? So what is the link to EASY? ‘Well, actually it was that service centre I just mentioned: it’s in Bury St Edmunds. So we’re EASY Software’s neighbour! We’re also a supplier to EASY of infrastructure services; we offer a neat thing called airFiber, which does what it says on the tin – connectivity over the air, which EASY seems to find really useful, I am glad to say. To sum up, we like to think we are both close physically as well as close in a business relationship way with Howard and the rest at EASY. ‘Why would that be useful – Document Management? Well, we work with a lot of manufacturing companies. What’s really quite surprising is how poor a lot of those guys are at efficiency in terms of the design process. You have some great engineering drawings and designs at one end, but too often, even today, you have someone on the shop floor trying to work all that out from paper documentation. So you have a lot of rather poor workflow, some slow and possibly error-prone steps there. 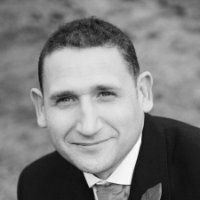 Craig is in charge of Business Development activities at Green Duck, a provider of IT services, which has customers in a wide number of sectors including facilities management, finance, legal, aviation, manufacturing and retail (as well as the public sector). Previous Previous post: A Truly EASY Way of Working! Next Next post: Let’s Kick Our Addiction Together: Join Me For The World Paper Free Day Campaign!